Think of a beloved and wild place, a place that captures the hearts and imaginations of those who visit. A place that supports an incredible diversity of plants and animals, and a place with a rich human history and irreplaceable cultural relevance. Imagine this area is set aside explicitly for public use and protected by laws that were designed to permanently protect the land from environmental disasters left behind by careless resource extraction, be it logging, mining, or drilling. Then imagine the unimaginable: that in the space of a single year the land’s protections are suddenly insufficient, that the public agencies responsible for managing the land forfeit their stewardship duties and even facilitate the repeal of established protections, that the private interests that stand to gain enormous wealth from resource extraction in the area exert an influence over public policy that drowns out the many voices speaking up for the land. In an inconceivably short time frame, a cherished and delicate public land becomes threatened by a plan that will enrich a few people, destroy the local and sustainable economies that depend on the health of this place, and leave the land degraded. You might be thinking this is a story about the Pebble Mine. Or maybe Bears Ears National Monument; the saga of Bears Ears losing its protections for the sake of uranium and oil interests has been receiving the lion’s share of recent public lands press. But the sad reality is that this an insidious pattern. The land we’re talking about, for instance, is in Northern Minnesota. It is a land of rivers, lakes, and streams. This place sounds like a the wistful tremolo of loons, the hair-raising howl of timber wolves, or the rhythmic splashes and drops from a paddle stroke. Wicked mosquitos, yes, but also fog and deep woods: birch, fir, pine, ash, spruce, maple...the list goes on. In addition to wolves and loons, moose live here, and the mighty beaver, and black bears. And humans, for hundreds of years, humans: Ojibwe, Sioux, and early white settlers. Canoeing along the Horse River in the Boundary Waters Canoe Area Wilderness. Photo by Allison Herreid. 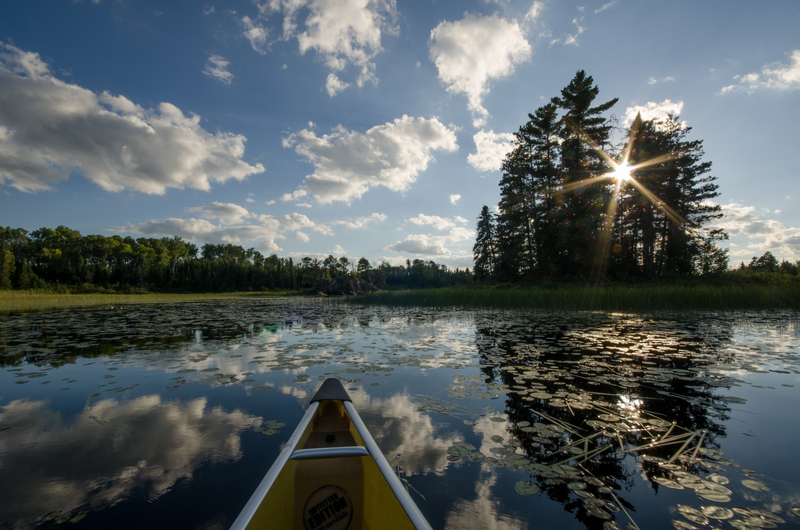 This is the Boundary Waters Canoe Area Wilderness, and it is the most visited wilderness area in the country. Over the course of more than a century, an entire community has assiduously worked to carve this wilderness out of the Superior National Forest and keep it free from logging, dams, and mines. As a result, this area has become one of country’s premiere destinations for wilderness experiences. There are more than 2,000 backcountry camping sites accessible to those with a canoe and a little fortitude, and there is enough fishing to keep you busy for an entire summer. This is a place to lose yourself, and then to find the self that you’ve lost. In December 2017, a new threat to this place inched closer to becoming a reality. Upstream from and south of the BWCAW on Birch Lake, 13 miles south of Ely, sit sulfide-ore mining leases that had been allowed to expire under the Obama administration. Sulfide-ore mining is used to extract nickel and copper from the earth, and it produces sulfuric acid and heavy metals that are extremely toxic to the environment. In a state with a long history of iron-ore mining, sulfide-ore mining has never been allowed. In this case, acid and heavy metals would leach into the lake, which feeds the South Kawishiwi River that flows north into the waterways that are the heart and soul of the BWCAW...it would be an obvious disaster for anything living downstream. A year ago, both the Agriculture and Interior departments agreed, and they denied Twin Metals Minnesota’s petition to renew the mining leases. But a lot can change in a year, and the Trump administration is much friendlier to mining interests. How friendly? Twin Metals Minnesota is a subsidiary of Antofagosta, a Chilean mining company that is owned by billionaire Andronico Luksi. Luski also owns a house in Washington D.C., and he rents that house to Ivanka Trump and Jared Kushner. So, pretty friendly. Under Interior Secretary Ryan Zinke’s watch, the Interior Department reversed course and renewed the Twin Metals Minnesota leases in December, 2017. Any hope that due process and a proper Environmental Impact Statement might act as a check against this misguided decision was dealt a significant blow when the U.S. Forest Service, which is overseen by the Department of Agriculture, flat out declined to complete one. This is in spite of the fact that an overwhelming majority of Minnesotans do not support sulfide-ore copper mining near the Boundary Waters Wilderness. Instead, the Forest Service will conduct an Environmental Assessment, a preliminary evaluation that allows the agency to decide if an EIS is in order or, if they find that no significant damage would ensue, that a Finding of No Significant Impact is more appropriate. A FONSI would mean more progress for this catastrophic mine and less protection for this stunning wilderness area. When Ivanka Trump’s landlord owns the house and Secretary Zinke deals the cards, no self-respecting gambler would take a bet against the FONSI. Kawishiwi Falls is located downstream from the proposed mine site. Photo by Allison Herreid. This is why American Rivers is absolutely right to place the Kawishiwi on its list of most endangered rivers...the threat in this political environment is as real as it ever was. American Rivers has been working to bring attention to the potential hazards of mining in this area since 2013. Their list of America's Most Endangered Rivers of 2018 is out now, and you can find out more about the South Kawishiwi's place on that list here. And there is still time for you to help change the future of this mining campaign. 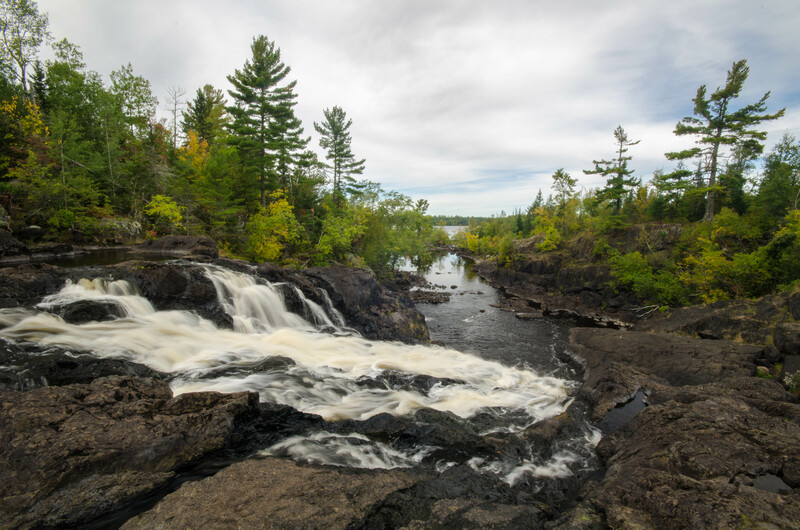 Save the Boundary Waters is working tirelessly to galvanize supporters and send the message that there is simply too much at stake to allow this mine to proceed.